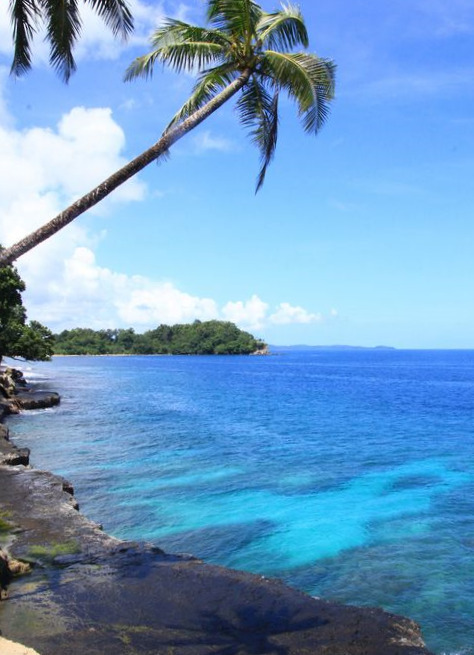 Surf the Solomon Islands in warm, crystal clear water with no crowds at all. 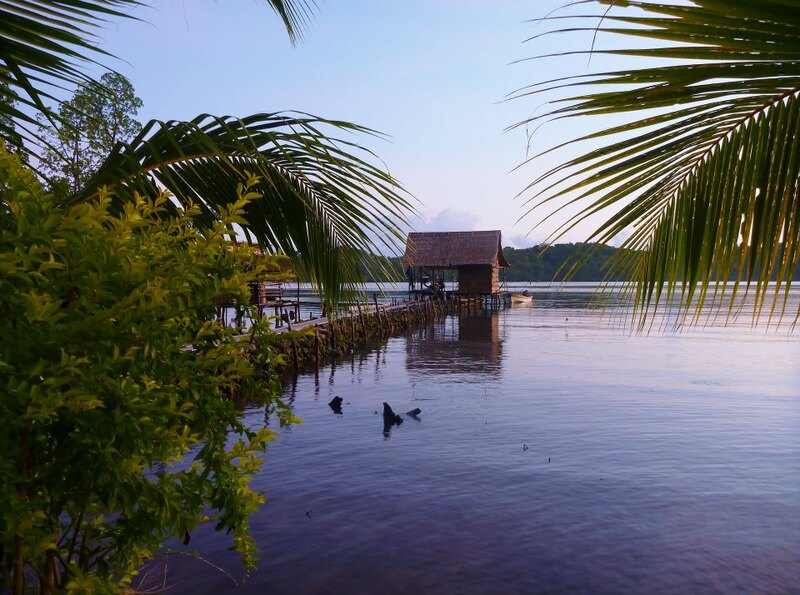 Kagata is your perfect Solomons surf holiday with amazing reef breaks and set ups. Enjoy swaying coconut palms , beautiful, happy people and unbelievable landscapes. Kagata Village is tucked into a remote north corner of Santa Isabel with hundreds of islands that make up the group. This is not a 5 star resort. This is back to basics blissful island living along side a local village family. It's timeless and a stay here will never become a vague memory of just another bland resort. You can catch your own dinner, Dog tooth tuna, Spanish mackerel, mangrove jacks and mud crabs. No phones, no sales pitches, no car alarms, no internet, no worries. Island time seduces you, eases you slowly into its pace . The "real" world fades. There is nothing you have to do. Just be in the moment. Accommodation is a locally made timber/tin pole house built off the ground, safe and secure, overlooking the lagoon. Set just off to the side of the family village the guest house is private, you have your own space/privacy. You'll be looked after by the extended family and treated as their family, the girls will prepare fresh breakfast, lunch and dinner. You won’t go hungry, tell them what your favourite foods are and they will do their best to look after you…Organic fruit is mouth-watering, will keep you healthy and keeps you cool. Just let them know when you arrive if you are more vegetarian inclined so they can arrange more fruits and vegetables if required. The house now has it's own fridge for those that would like to have a cold Sol Brew after a day of exploring and experiencing island life. A new hut is in the process of being built that is large enough to house another family. Included in your experience, light traditional refreshments will be presented to you as you depart as a farewell gift, one of the many local traditions. The village is has just finished building a new school that will be used by the local children as well as those from other villages. As they do not yet receive government support Kagata surf village now offer you the chance to assist these children in their education, please feel free to bring along school or sporting supplies suitable for children aged 3-12. The children are planning to start a vegetable patch as part of their curriculum, the produce of which will be sold to villagers and visitors to the area. Staying in this wonderful place in the world, in relative comfort knowing that your money is contributing to the village and the villagers, in a positive and sustainable way. Win-win. Solomon's surf at it best with no crowds, a great variety of breaks to chose from short punchy reef breaks and long hollow barrels and a standard to suit all levels. Surf travel is young here and there's still new waves to be found....imagine surfing pristine reefs breaks with only a few others who visit this remote part of the world . Watching line tear off your reel as an unknown monster screams into the depths. Snorkelling warm tropical waters, weightless over the everyday busyness of the reef, alive with colour and life. Maybe just simply breathing in the spectacular colours of the tropics is your style. Your other life will fade as you ease into the rhythm of the islands. Saturday is a day of sabbath so no surfing, it's a day to relax tried muscles, have a bush walk or learn about village life. Min stay 7 nights, based on min 2 pax. Single supplement $80 per day. If staying less than 7 nights add $100 per person for transfers. Max 7 surfers, no technology and world away from our modern fast paced life. We had a fantastic time at both Kagata and Papatura and I really appreciated the uniquely different vibes of both places! Kagata was so laid back and relaxed and the village family were absolutely charming in every way....we were pleasantly surprised with the warm welcome and how the kids were so shy at the start and came out of their shells as we spent more time around them. By the end they had warmed up to us and were hanging out quite a bit , laughing and playing, and they are definitely some of the cutest kids you could meet......being a dad myself ....I was reminded of my own kids quite often. Every one involved with the care of the guests contributed and helped us to really enjoy our stay .We felt so welcomed and the charm of the place soon saturated us into a relaxed state of mind. Dekta and Leo were fantastic guides and really genuine in their enthusiasm to find good waves for us .....they loved it too and really added a positive vibe both in and out of the water! They'd had a french surfer/s stay just prior to our visit and were carrying on in the water with "oooh lah lah's" everytime a set came which was pretty funny!! The first few days the surf was really clean- offshore from 2 to 4 foot ( with the occasional bigger set thrown in to keep us guessing?) and we were having a blast enjoying the peeling and running walls at ———-'s and another little left that didn't require a "name"!?? The pièce de résistance came on the 3rd day ( at least I think it was?.....I lost track of time-keeping after the first 2 days and had slipped into Island Time;loving being off the grid entirely!) when, I rose early in the morning and looked through my big lens from the jetty towards the reef pass, to see much bigger swell lines on the horizon! We motored out after a quicker-than-usual breaky and I couldn't believe the swell size hitting ———?? rights. It was super clean and 5 -6 foot! Double-overhead on the sets!! Big clean glassy peaks were surging out of the deep channel and bowling nicely before spinning-off ,down the line through the inside. The older guy's who were staying with us at Kagata didn't appreciate it as much as we did after realizing how much effort was required to get into the waves and also having to avoid the clean-up rouge sets that randomly( but regularly ) surprised us! They watched from the boat for a while before we came in to see what they wanted to do? So we went around to ———-'s thinking it might be a little more manage-able for them? It was a bit , but again with the big clean-up sets. It showed a completely different mood to the previous sessions we'd had there. The wave was wedging harder out of deep water ,further out and much rounder and heavier. We had another amazing surf and were completely taxed by the time we got back to Kagata for a very late afternoon lunch! What a day!! I was personally very surprised by the quality of the surf that day......after many Indo trips I never expected the Solomons to deliver waves with both the size , shape and quality that Indo delivers. Haha stupid me....and to think it's only a three and a half hours flight from home! So close, I am sure it will beckon me to return! !